Gov. Murphy continues to check the boxes on many of his campaign promises. Monday, it was his promise to expand pre-Kindergarten education statewide. The governor was in Jamesburg to restate that commitment. Murphy is putting $53 million new dollars into his goal of universal pre-K. That’s on top of the $25 million Gov. Christie and state legislators expanded the program by last year. 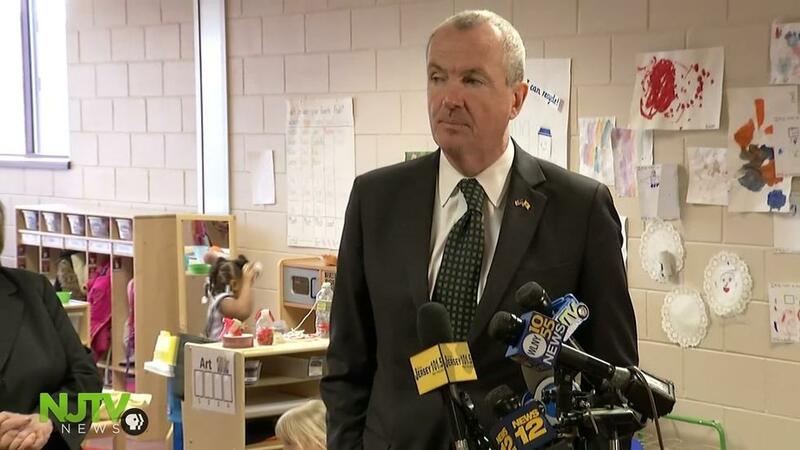 The governor toured a pre-K class inside a Jamesburg elementary school Monday where they have a dual-immersion program, teaching preschoolers in English one week, and in Spanish the next. It gave the governor the backdrop for his message that preschool makes good sense. “I think it’s fair to say we’re all in violent agreement that investments in pre-K are among the smartest investments we can make. The Legislature had already gotten to it with a big chunk and you’re seeing some tangible evidence of the results of that. And our budget has laid in another big chunk on top of that, a multiple of it. So, we think the combination gets us beginning down that road that we’ve promised to get down to over a period of years to get into universal pre-K. This place is already packed to the gills, in terms of capacity. We’ve seen some really good classroom activity. None more impressive than this, this back and forth, the bilingual between Spanish one week, and English the next, with a seamless transition. That’s the important point that I like is that you’re taking math in Spanish, and when you get to that point on the end of your week in Spanish, you’re coming in and taking the same math in English,” said Murphy. Last week, Murphy restated his commitment to make community college tuition-free within three years. Monday, he said it may take a little longer to get to universal pre-K. The new money is meant to create 5,300 new preschool slots. The state currently has 28,000 students in public pre-K. Murphy said for every dollar you put into pre-K, $7 eventually comes back to society.